Pop Art was very successful in the late 1950s, and emerged as a modern art in England and the United States. They gained popularity as a reaction against Abstract Expressionism art, which started becoming a favorite among the masses. Pop Art generally is in sync with the modern culture and usually all the art produced during a certain time has a similar theme. Whatever gains popularity in a particular time, like a sitcom, band, movie or a song, usually finds its way to becoming a successful pop art. Familiar images which resonate with the masses due to their popularity can be converted into pop art. Popular art is definitely going to find a way into streets, cafes, boutiques and even offices and homes. 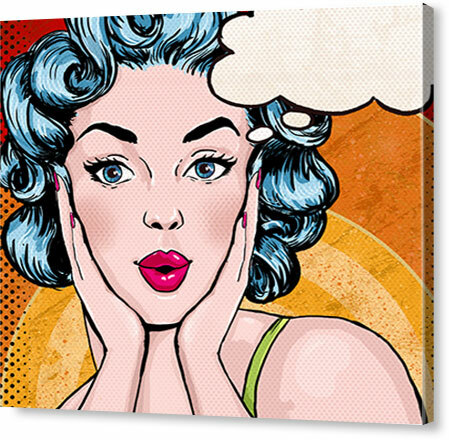 You can easily get your choice of pop art converted into a canvas print to display it and indulge in some art. CanvasChamp offers some amazing designs and ideas for pop art. Moreover, we offer customized designs for pop art and can convert all your pictures/posters into pop art. It adds a contemporary look and definitely stands out in your home – be it in the living room or anywhere else. The best thing about pop art is the fact that we handcraft every print. 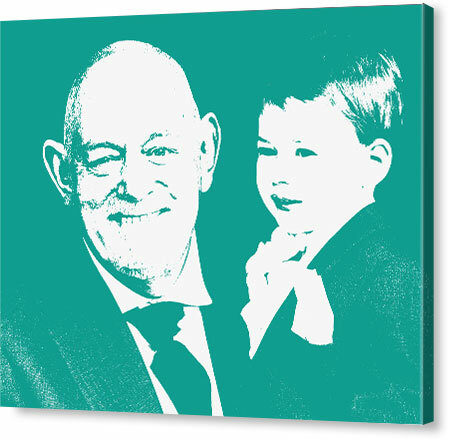 Our artists give a finishing touch to the art, and also highlight the most attractive aspect of the art and then convert it into a canvas print. This guarantees that your art will truly stand out and not only grab eyeballs but also ensure you like it as it will be your personalized art. The distinct style of this amazing artist, filmmaker and print-maker from the pop art era is one of the unmistakably familiar styles that were eminent in those times. They consist of a multi-colored collage of identical panels, each with a barrage of contrasting colors of various hues, indicating a wide range of emotions and color play in a single print. Imagine having your memories painted by Andy Warhol in his distinct style of expression. Roy Lichtenstein was a person who exemplified the expression of parody through the comic book style medium of expression that he excelled in. He was famous for the way he created comic book style characterizations and events which often had a hard-hitting message expressed in a tongue-in-cheek manner. Now, you can have your memories tailored in Roy Lichtenstein style, where you can convert your images of past events into hard hitting comic-based thematic illustrations. 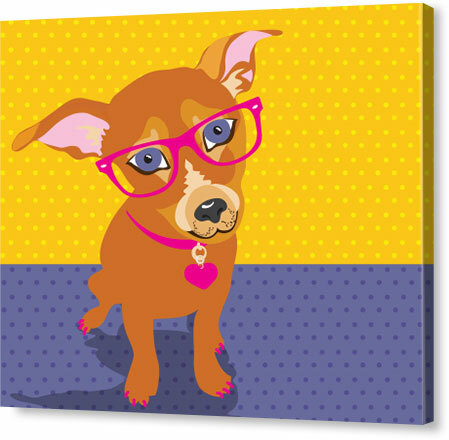 These portraits are lined with bold strokes, bright colors, and realistic texture which help us create a plethora of pet portraits in a distinctly authentic pop art style. The characteristics of this style of painting helps in bringing out the inherent personality of your pet, complete with customized physical traits that you may want us to add to the portrait. 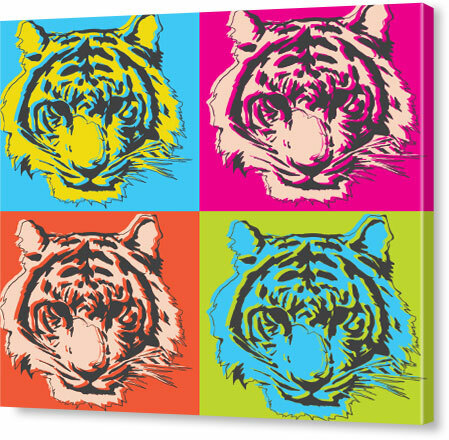 This also helps in a creative display of the characteristics of an individual or an animal, bringing alive the personality of that individual through this bold and articulate style CanvasChamp offers the best pop art Style, try it out! 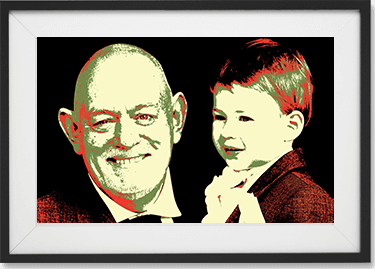 By using the various styles that we mentioned above, we actually indulge in converting your photo, picture or memory into a pop art masterpiece. 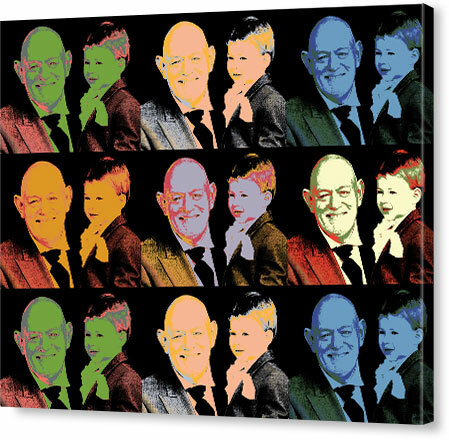 Each pop art canvas print goes through an artistic process, which involves a merging of the digital picture along with actual colors, textures and media which we use to express the essence of this style of canvas prints. We also provide you a guarantee that can allow you to place your trust on us with regards to the inherent quality of the art piece that we are creating for you. If in any case you are not satisfied with the art piece, we also assure you a complete refund of the money you paid for the same. We also offer free replacements, along with a pre-confirmation image so that you are not disappointed by the results. We offer a wide range of designs along with the choice of style which you can alter completely based on your preferences and personal choices. You can choose from the myriad designs we offer online and can customize aspects such as the overall dimensions of the image, the color combinations, the style and other aspects related to the creation of the art piece as a whole. We assure you an experience that will have you painting your memories in a way you had never imagined before!